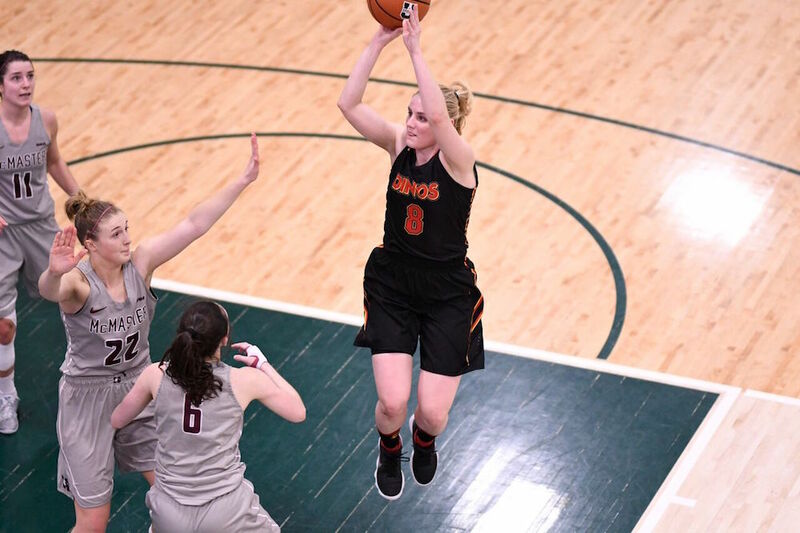 A balanced attack was the key for Calgary, as the eighth-seeded Dinos outscored the MacMaster Marauders 17-3 in the fourth quarter to earn a 60-52 win in a consolation semifinal at the Centre for Kinesiology, Health & Sport in Regina on Friday night. Liene Stalidzane and Brianna Ghali both had 13 points while Bobbi-Jo Colburn added 12. Erin McIntosh and Michaela Nieuwenhuizen chipped in with nine points apiece as Calgary earned a berth into the consolation final on Saturday morning. 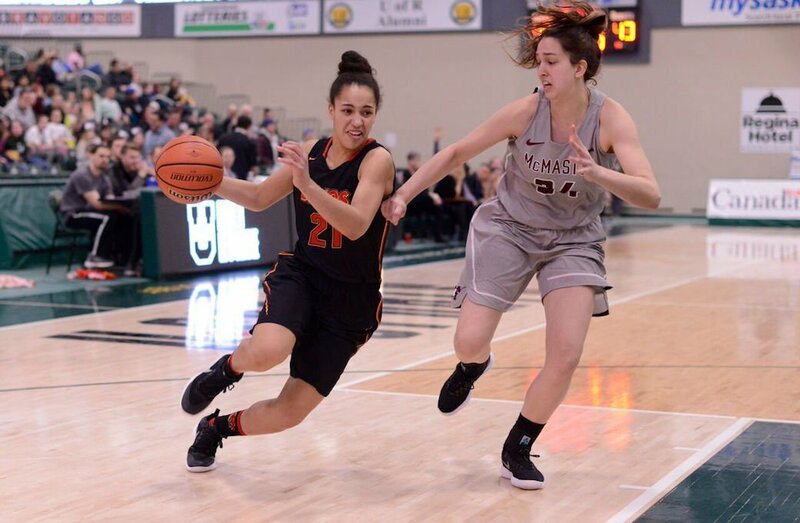 Hilary Hanaka was dynamite for McMaster, pouring in five three-pointers and 27 points on the night. The Marauders carried a 35-29 lead into halftime after forcing 13 Dino turnovers in the first 20 minutes. Hanaka came out red hot for McMaster, as the veteran guard drilled three triples on her way to 17 points, four rebounds and two helpers at the halftime break. Colburn paced the Dinos in the opening half, with one three-pointer and 11 points on just six shots off the bench. The margin remained at six points after the third quarter, but a Nieuwenhuizen putback with 6:28 to play evened the score at 49 and a layup by McIntosh 44 seconds later gave Calgary its first lead since the first quarter. Hanaka knocked down another long ball to put McMaster up, but a Colburn free throw pulled Calgary back even. Calgary broke the 52-52 tie with 1:29 remaining, with McIntosh knocking down her first three of the evening as the shot clock expired to cap off a wild possession. Another Calgary stop gave the Dinos a chance to take a two-possession lead, and a rebound and layup from Nieuwenhuizen put the Dinos up 57-52. Hanaka had a three-pointer rim out with 25 seconds left, and Calgary put the game away from the free throw line. The Dinos will meet either the Acadia Axewomen or Laval Rouge et Or for a 12 p.m. ET / 9 a.m. PT tip at the CKHS on Saturday morning.